It was this realization that brought tears to my eyes. Tuesday was our oldest son Liam’s “Moving Up” ceremony. He moved up from 3rd grade to 4th and will be entering a new school in the fall. Like many parents sitting in the hot, crowded auditorium (vying for a seat with a view! ), I wondered how this day came so quickly. It seems like yesterday that I put my wide-eyed, innocent not-yet five-year old on a bus for the first time. I didn’t cry then. Perhaps because I had other things on my mind — like his little sister who was two and his triplet brothers who were 11 months. Or perhaps because I knew it would be easier to have four kids under four at home than five under five! Or perhaps because I knew he was ready. Ready to ride that bus and join the ranks of kindergarteners. This week, as I sat in that sweaty gym, looking up at the beaming faces onstage, I wondered, is he ready? For 4th grade? For a new school? For all the life lessons that lie ahead? 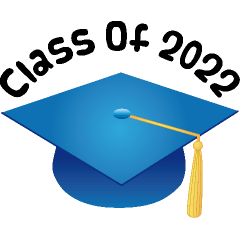 My mind immediately jumped to life lessons vs. school lessons the moment his class marched dutifully onto the stage and I saw their shirts emblazoned with “Class of 2022.” That’s when I cried. That’s when it really hit me. Today, 3rd grade graduation; tomorrow, high school graduation! I don’t know if it was the notion of my firstborn graduating and leaving home (I know, I know, I am getting WAY ahead of myself here!) or the realization that many of the life lessons he will encounter between now and then will be hard ones. By the time 2022 rolls around, he will have likely had — and lost — his first love; he will be on a losing and learn that it’s only in Little League that everyone gets a trophy; he may be bullied — or worse yet, be a bully; he will experiment with many things and he may be left out, left behind or left for lost. Lost in text books that are complicated and relationships that are even more so. He will grow up. And that’s what makes me cry. These lessons, like many good ones and all the ones that can’t be taught from a book lie before this little boy who is my first… and who is not so little anymore. He is too “cool” to wave to me from the stage; he only barely makes eye contact a I weep in that overheated, overcrowded gym. More tears. And a reminder that they, our children, are always looking. He will look to me to help him navigate those tough life lessons that inevitably lie ahead. And I will be there. I will be looking. Just like I was when the bus pulled away that first day of kindergarten… and every day since.